Rev. 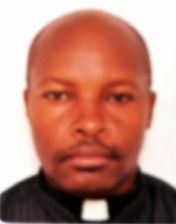 Lazaro Marcel Rohho has joined the head office of the Evangelical Lutheran Church in Tanzania (ELCT) to become the Deputy Secretary General (DSG) for Mission and Evangelism effective January this year. He replaces Rev. Ambele Mwaipopo who accepted a call to become the Bishop of ELCT Lake Tanganyika Diocese. Before his recent appointment, Rev. Rohho was Coordinator of the ELCT Service Office in Dar es Salaam 2012 to 2014. He brings with him a whale of experience having served for seven years as General Secretary in the ELCT Mbulu Diocese 2005 - 2012. Born 21 August 1965 at Haydom in Mbulu District, Rev. Rohho is a holder of Tumaini University Makumira (TUMA) Bachelor of Divinity Degree obtained in 2000 and a Master of Theology Degree obtained in 2003 at TUMA. In 2012 he graduated a Master of Business Administration Degree offered by the Arusha based Eastern and Southern Africa Institute for Management (ESAMI) in collaboration with the Maastricht School of Management (MSM) in the Netherlands. He was ordained to become a pastor on 29 April 2001 at Haydom Lutheran Parish and served in various parishes in the ELCT Mbulu Diocese in different positions between 2000 and 2005. He is married to Grace and together they have three children - two boys and a girl.